If she stays over…make her this. Mix the dry ingredients and set them aside. Beat egg yolk with milk, ricotta cheese, and vanilla together. One the wet ingredients are mixed, combine them with dry ingredients. In another mixing bowl (or a bowl large enough to whisk the egg white), add a tiny pinch of salt to egg white and whisk the egg white until medium peak*. Divide the egg white into 3 parts and fold each individual part into the mixture, from step 1, thoroughly. Let the batter rest for few minutes. Set your griddle over medium heat for several minutes. Test the temperature of your griddle by dropping few drops of water. If the water evaporates right away, then the griddle is ready to cook the pancakes. 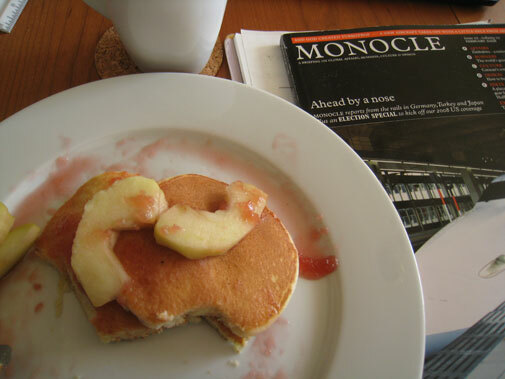 Cook the first side of pancakes until the edges are set, which would take about 2 to 3 minutes, and then flip them over and cook until the pancakes are springy when pressing on them. If not serve immediately, cover them with a clean towel in the oven set to 200-degree. 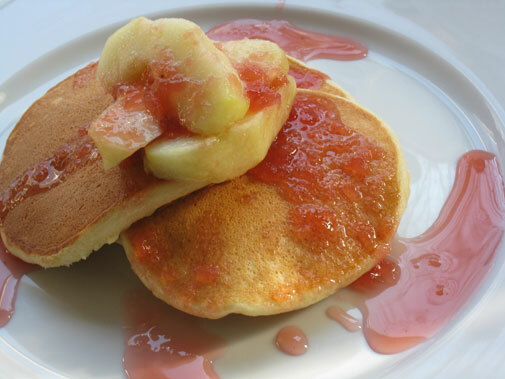 Use your imagination…serve the pancakes with fresh fruits, syrup, poached fruits, etc. 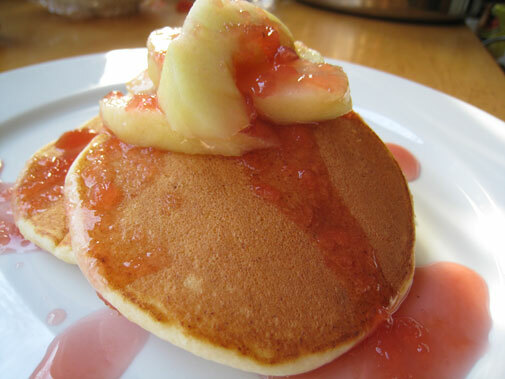 *Medium peak means the egg white foam is still flexible and can be folded into a batter easily. Your mate will appreciate your effort for making the best breakfast.